Luis Suárez has been named LaLiga's Player of the Month for December. The Uruguayan scored a total of five goals in four games, as well as finding the net in every match that month. His goal in El Clásico at the Santiago Bernabéu helped FC Barcelona to an important league victory, and came after he had scored a brace against Deportivo La Coruña and additional strikes against Villarreal and Celta Vigo. The honour makes Wednesday 24 January a day of double celebration for Suárez, as it is also his 31st birthday. 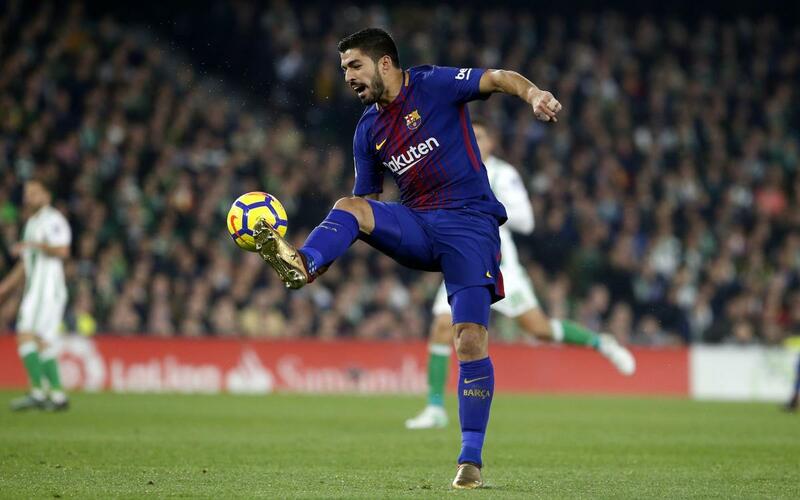 His good form has carried over into 2018, with two goals and an assist for Ivan Rakitic in the game against Real Betis his most recent excellent performance. In total, Suárez has 15 LaLiga goals to his name this term, and only team mate Leo Messi has more. The Uruguayan is the fourth striker to win the Player of the Month award this season, after Iago Aspas, Simone Zaza and Cedric Bakambu.